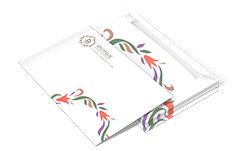 In addition to high-quality printing and mailing services, we have a friendly customer service team of print experts here to help you every step of the way. We are happy to offer turnkey direct mail services to our customers on any mailable product we print. We have in-house experts in your industry ready to help with your project needs. Our roots grew out of a print shop in Arlington, TX and we are proud to still do all of our printing and manufacturing on American soil. Our customers trust our online printing services and the professional quality of our custom offset printing. Our low prices and fast turnaround times are backed by 5 guarantees. PrintPlace, LLC is a BBB Accredited Business with an A+ Rating. This accreditation is part of our goal to achieve customer excellence. We are one of the only 40" sheetfed printers in the Dallas/Fort Worth area (one of only a handful in the entire country) with a G7™ Expert on staff. PrintPlace was ranked on the INC 500™ list, as one the fastest growing privately held companies of the U.S.
PrintPlace was recognized by The Dallas 100™ as one of fastest growing, privately held companies in the Dallas area. We are more than just an online print shop. We are people here to help you make the most of your printing and help you use it to grow your business. Choosing the right flyer font can go a long way toward creating materials that don’t just stand out, but are immediately understandable as well. Here are the 5 questions you should ask yourself before deciding on a flyer font. One of the greatest challenges of a nonprofit organization is attracting potential investors. 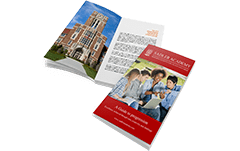 Beat this, and many other challenges, using booklets to promote your nonprofit. PrintPlace’s customer service team makes more happy customers every day. It’s one of our customers’ favorite things about working with us. Before you print postcards for your next campaign, take a look at these cool postcard options. They just might make a big impact on your next direct mail conversion rates. Minimalism is all about simplicity and using fewer elements to achieve more effect, thus its main idea: “less is more.” Here are some of the reasons why less can achieve so much more. CMYK printing is the standard in the industry. The reason printing uses CMYK comes down to an explanation of the colors themselves. It offers a much wider range of colors compared to just RGB. "Great experience!! I was able to upload my files easily, choose my printing specifics and place my order quickly. The print job arrived on time and was beautifully printed. It's hard to ask for any more! I'll be back for sure." "I have been sending printing projects to PrintPlace for several years and I have never been disappointed. 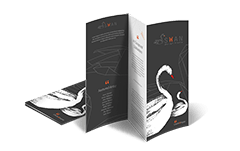 The print quality is beautiful, the website is easy to navigate and they always make sure the design works before they print it." "I have already recommended PrintPlace to several business owners over the past few years. Pricing, selection and quality are excellent! I have only used PrintPlace for my printing needs and will continue to do so. Thank you PrintPlace!" 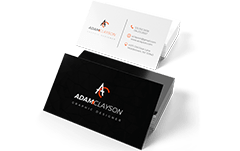 "I've been a PrintPlace customer for almost 5 years now, and if I can help it at all, I never go anywhere else for my printing needs. Top-notch, reliable, consistent quality and service at low prices that are easy to check when planning a project."